Muskies Canada Inc. has a long history of “giving back” to the resource by getting involved in projects and initiatives that support our natural Muskellunge population. Our members volunteer their time and provide financial support for various research and habitat projects each year. One of the best ways we can support the future of the resource is to provide funding to students working on Muskellunge research in Canada. We are proud to be able to honour one of Canada’s leading Muskellunge researchers, Dr. Ed Crossman, by providing a grant in his name of $1000.00 to a university or college student carrying out fisheries research relevant to Muskellunge in Canada. Up to 3 grants will be awarded each year. Note: These grants will be provided at the discretion of the MCI National Executive Committee on a yearly basis, dependent on the availability of funds and the nature of the proposed research projects. The grants are funded and administered by Muskies Canada Sport Fishing & Research Inc. Her research aims to fill in a critical knowledge gap related to juvenile muskellunge ecology – identifying habitat needs for their survival to adulthood in the St. Lawrence River, a trophy Muskellunge fishery – and determine applicability of ecological tools in future research programs. Her telemetry field work commenced September 2015 through May 2017. Hatchery experiments commenced November 2017 through February 2018. 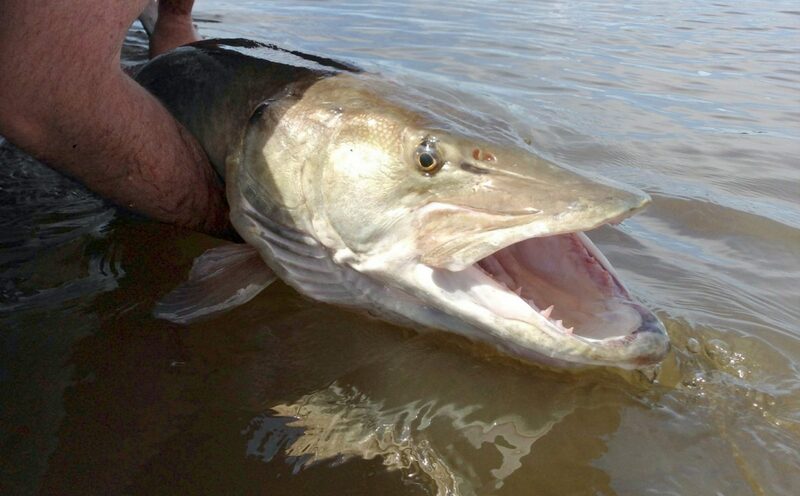 His research aims to improve our understanding of Muskellunge and their whereabouts in the downstream portion of the St. Johns River and will also provide an opportunity for future habitat models to be created to assess whether areas downstream, tributaries or adjacent watersheds are suitable for colonization by Muskellunge. Project commenced September 2015 and in ongoing. Project commenced May 2017 and will run through October 2020. Her research aims to assess both short and long term efficacy of restoration efforts to elucidate interactions between round goby and VHSv … and subsequent immune response of Muskellunge … and to determine the potential exposure risk and subsequent immune response of Muskellunge through tracking. His research aims to characterise vegetation structure at suitable Muskellunge spawning and nursery sites and develop a predictive habitat suitability model that can be used to identify and evaluate other potential spawning and nursery habitats throughout eastern and northern Georgian Bay.